Schuylerville-Sue Wilbur, 73, of Schuylerville, passed away Monday, March 25, 2019 at Saratoga Hospital. Born October 28, 1945 in Charleston, SC, she was the daughter of John and Genevieve (Warren) Kilpatrick. Sue graduated from Plattsburgh High School and received her RN BS Degree from SUNY Plattsburgh. Sue was the Head Nurse in the Pediatric Ward at Glens Falls Hospital. She then worked at the Hudson Falls Central Schools as the Head Nurse Teacher, she was also the secretary at the Old Saratoga Reformed Church in Schuylerville where she was a member. Sue was a nurse for a local podiatrist at one time. Sue had many hobbies such as golfing and was a member of the Batten Kill Country Club, she loved reading, crocheting, photography, target shooting, collecting dragons and turn of the century art glass. As a teenager, Sue was an accomplished pianist and had a passion for listening to music. She loved spending time with her children and grandchildren. Sue is survived by her husband of 50 years, Thomas Wilbur; two children, Amberlyn (John) Deyoe of Schuylerville and Morgan (Pattie) Wilbur of Crawfordville, FL; a brother, Jack Kilpatrick of Greenville, SC; grandchildren, Holly & Ajay Deyoe. The family would like to thank the loving team that cared for Sue during her struggle. She considered them part of the family. Calling hours will be Tuesday, April 2, 2019 from 4-6 pm at the Ackley, Ross & Gariepy Funeral Home, 73 West Main Street, Cambridge. A funeral service will begin at 6:00 pm with Rev. Joyce deVelder officiating. Interment will be at Woodlands Cemetery in Cambridge. 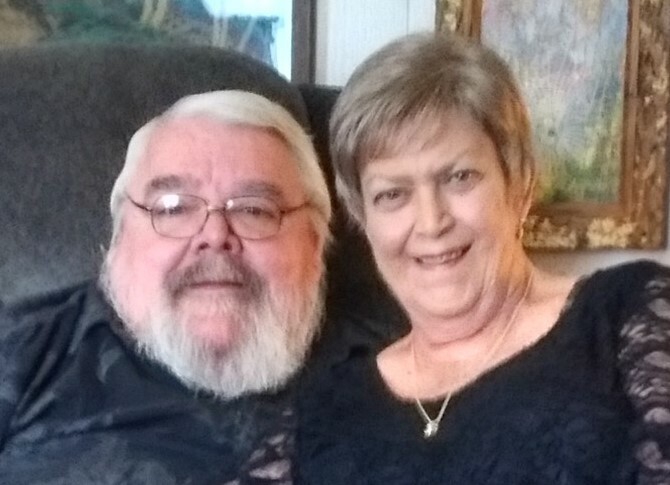 In Lieu of Flowers, Sue’s wish was for donations in honor of her life, go to her husband Thomas Wilbur so he may live safely at home with his loving care team legacy. Checks may be made to Thomas Wilbur, C/O Glens Falls National Bank, 73 Broad St., Schuylerville, NY 12871.